It may be springtime, but let’s face it: the weather can be crazy and unpredictable. 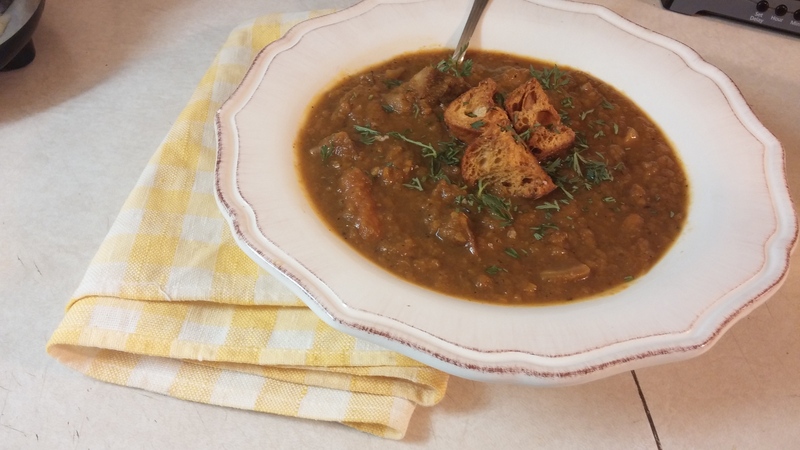 For those not-so-springlike nights this season, I’ve got a recipe for Roasted Root Vegetable Soup with Homemade Thyme Croutons that’ll give you an excuse to transform leftovers and get the most out of your farmers’ market finds. This recipe is a classic example of technique. Once you master it, you can substitute whatever ingredients you choose. Roma tomatoes and onions would be absolutely fantastic with a grilled cheese sandwich. 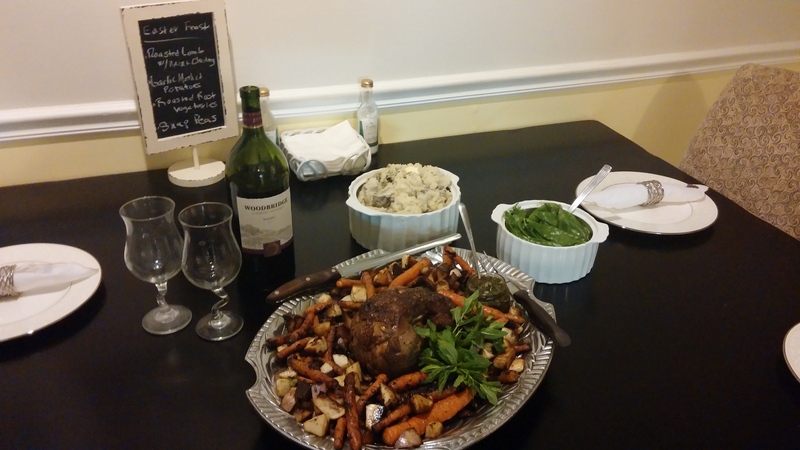 I made Roasted Root Vegetable Soup using leftover carrots and turnips that I’d made for Easter dinner with my Roasted Leg of Lamb and Mint Chutney. 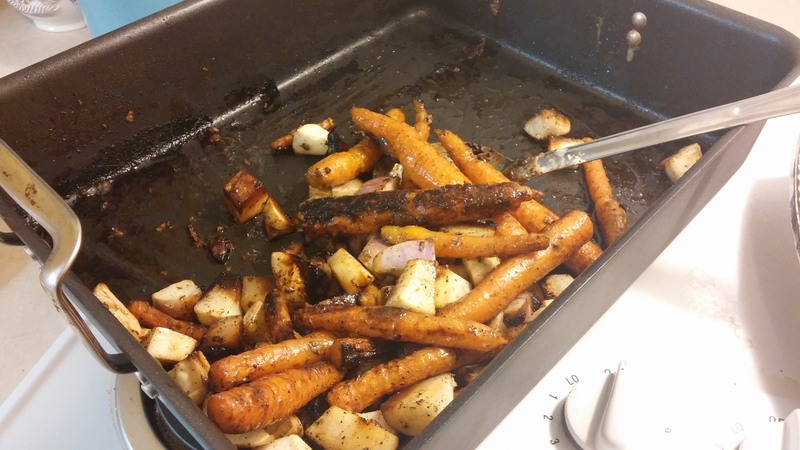 I seasoned the vegetables with salt and pepper, then tossed them in a good quality olive oil and roasted them at 425 degrees for 30 minutes. I love reinventing leftovers. It’s ultimately fun to create something totally new with the same ingredients from another dish. In a food processor or a blender, puree the vegetables until fluid, adding a little chicken broth or water to help the vegetables liquefy. You can also use an immersion blender, but that’s a fancy tool I’ve yet to acquire. If you’d like your soup to have a little texture, don’t puree them totally. 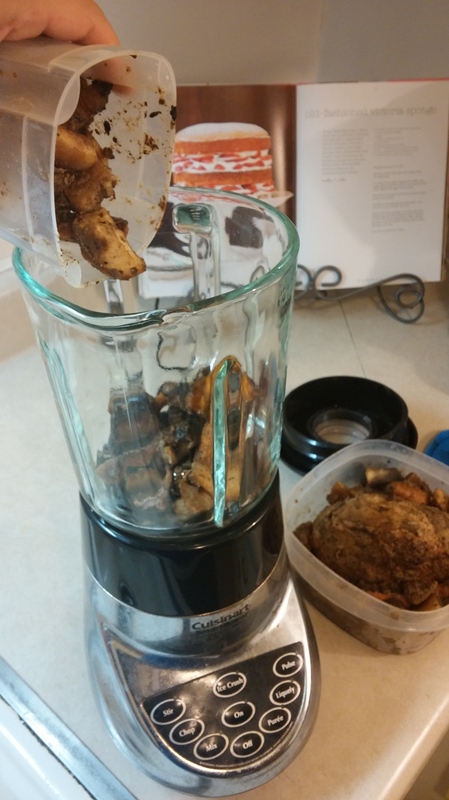 Just pulse your blender a few times, leaving some of the vegetables chunky. I enjoy bites of carrot here and there, rather than pure creaminess, but it’s personal preference. 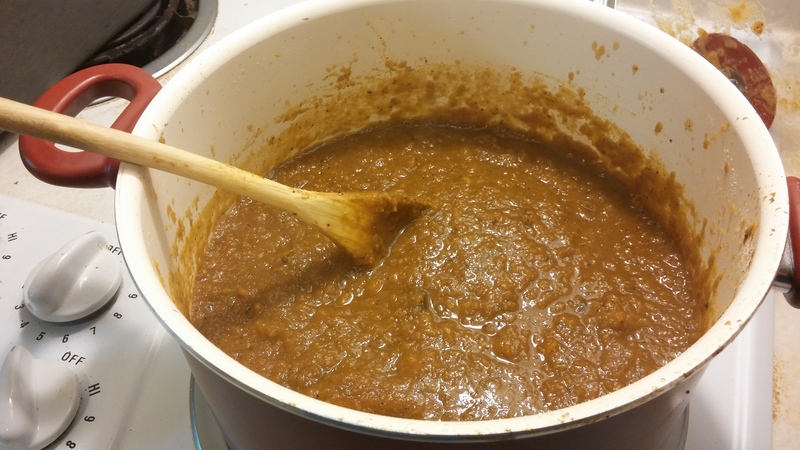 Transfer the pureed vegetables to a stock pot. Then add 3 – 4 cups of chicken broth. Season to taste with salt, pepper and dried oregano. Let simmer over medium-low heat for at least 30 minutes. I just so happened to have a french baguette on my counter top that was more than a few days old. 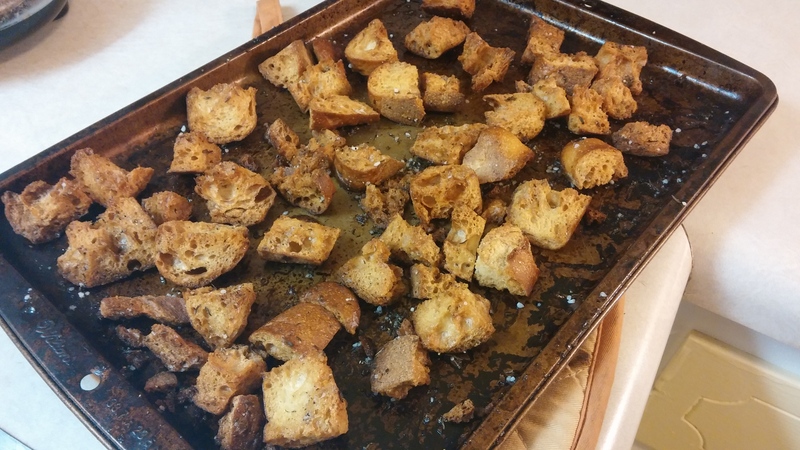 What better way to give stale bread new life than to chop it into cubes and make crunchy croutons? I did just that. With the Holy Trinity of kosher salt, freshly ground black pepper and olive oil, I added dried thyme, and roasted them in the oven, also at 425 degrees, for 10-15 minutes until golden brown and fragrant. If you look closely, you can see chunks of carrot adding texture to the soup. 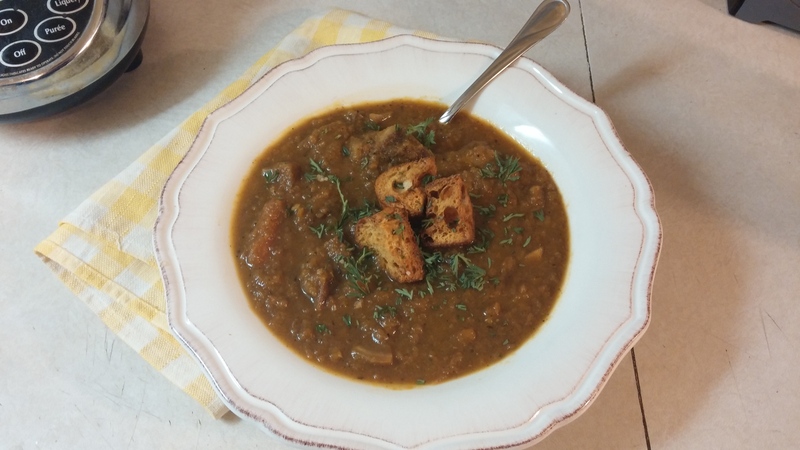 With a pop of green color from my carrot tops for garnish and the addition of my Homemade Thyme Croutons, soup never tasted better on a cool, springtime night.